Can you believe we are already in week 4 of our declutter and organization challenge? How do you feel? Were you able to tackle some of those difficult areas in your home? 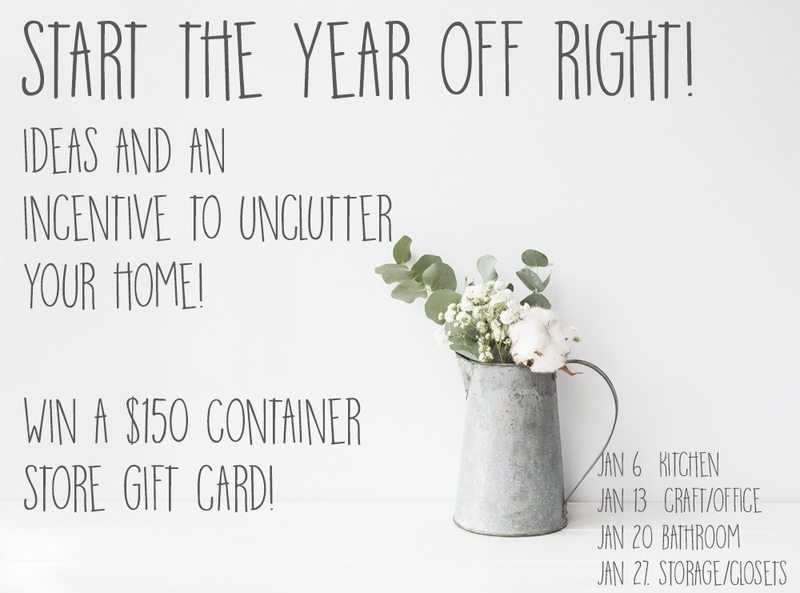 Today my lovely friends from No Place Like Home will be providing all the inspiration you need for your storage and closet spaces. Click on their link above. Are you feeling motivated yet? Follow the links below to see more organization inspiration. 5. By linking up to this party, you are giving the ladies of No Place Like Home permission to share your pictures on social media or our blogs at any time in the future. Of course there will be a link back to your original post. For more inspiration, you can click on each blog listed below to see what all my friends at No Place Like Home are doing to declutter and organize their spaces. What was your favorite part of this challenge? Hi Lynn, It was a great challenge that really helped motivate us after the new year! This whole challenge has been so fun, and helpful! Hi Nicki, I would agree that this challenge has been so fun!!! So many great ideas showcased! Storage closets can be so hard to organize because they quickly become dumping grounds for all the stuff that no one knows what to do with. Looking forward to seeing some great inspiration. Thanks for sharing! Hi Leslie, I would agree. Storage closets are the secret storage place were all messes can happily hide. Then all of a sudden I can't take it any more and have to clean out the whole closet.